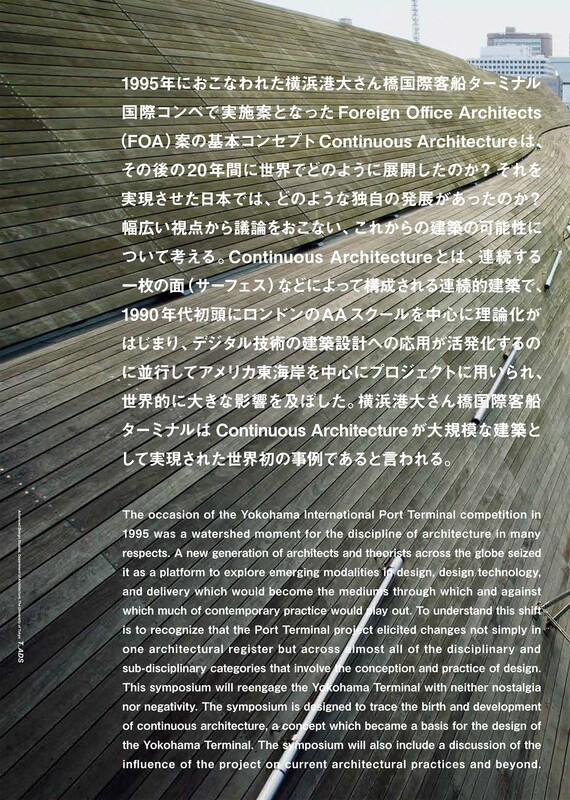 The occasion of the Yokohama International Port Terminal competition in 1995 was a watershed moment for the discipline of architecture in many respects. A new generation of architects and theorists across the globe seized it as a platform to explore emerging modalities in design, design technology, and delivery which would become the mediums through which and against which much of contemporary practice would play out. To understand this shift is to recognize that the Port Terminal project elicited changes not simply in one architectural register but across almost all of the disciplinary and sub-disciplinary categories that involve the conception and practice of design. This symposium will reengage the Yokohama Terminal with neither nostalgia nor negativity. 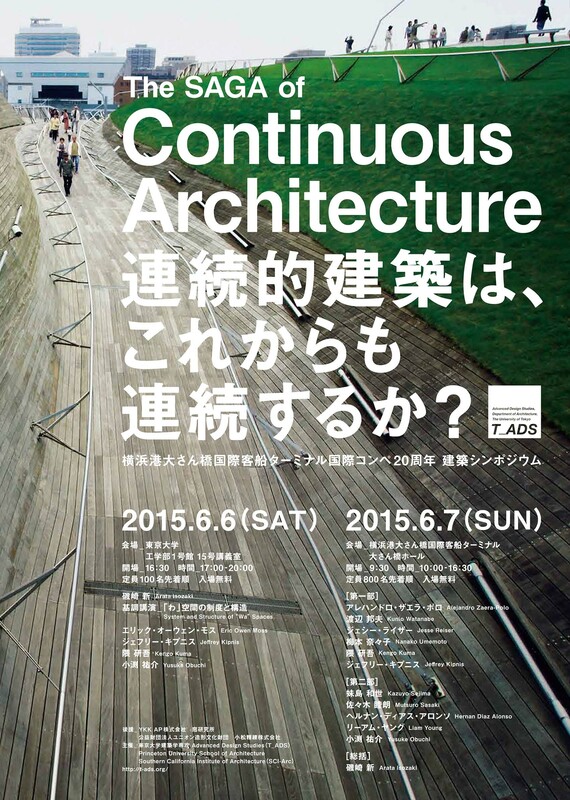 The symposium is designed to trace the birth and development of continuous architecture, a concept which became a basis for the design of the Yokohama Terminal. The symposium will also include a discussion of the influence of the project on current architectural practices and beyond.